Got to check out the newly opened Float Stress Relief and Wellness Centre located on Yonge Street just North of Lawrence in Toronto. 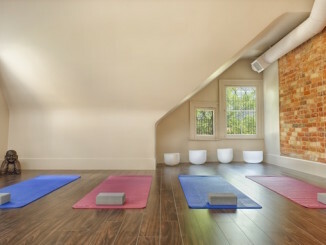 The multi-purpose facility features float rooms, which measure 8 ft long x 4 feet wide x 8 ft tall, registered massage therapy and naturopathic doctor services. 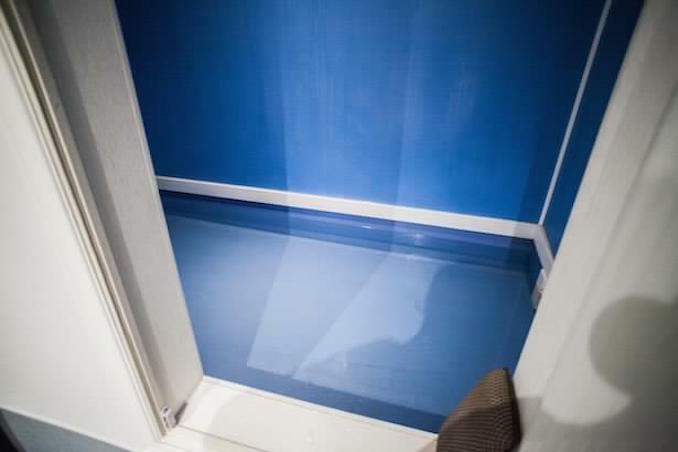 This was my first float experience and I was surprised that this facility featured float rooms instead of a tank. It was more like a giant bathtub with only 8 inches of water, all you need to float. It was also nice to be able to stand up inside the float room. 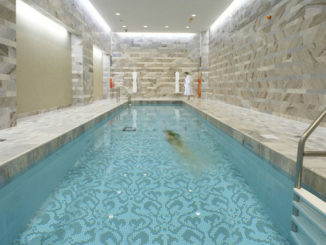 The float rooms are inside preparation rooms which feature a shower, towels, soaps and scents. 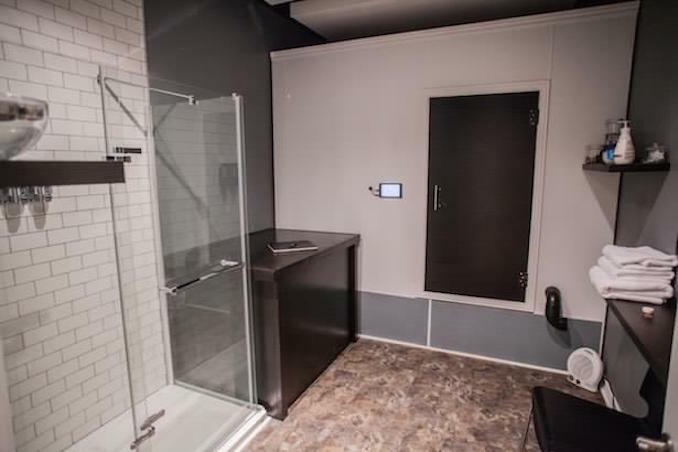 Before entering the float room, guests shower with the pre-float gel, choose their desired sounds on the float chamber digital panel (can be silent), and enter the chamber to begin the hour long float. I thought the hour long float might feel like a long time but once the lights went out, time seemed to pass by very quickly. The water is not hot but warm and a small light inside the chamber dims after a few minutes of starting your float. The water contains close to 1000 lbs. of medical grade Epsom salt (magnesium sulphate), giving the water a relative density of 1.25 (regular water is 1.0, so it’s 25% denser than regular water). Even with only 8 inches of water, your entire body is buoyant and able to slip into deep thought. After your float, you hit the shower to wash off all the salt water. Post-float shampoo+conditioner and body moisturizer are provided inside the showers. The sensation of being completely relaxed and yet floating is an experience on its own. The time also allows for some relaxation and independent thought. A must-try in the city’s North-end. 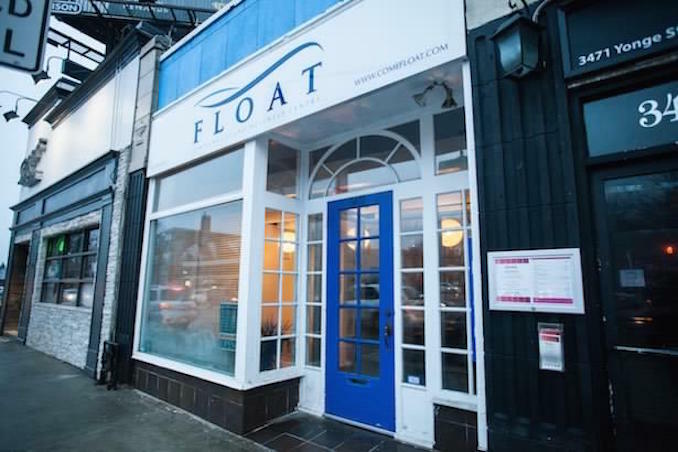 For more info on Float Stress Relief and Wellness Centre, visit their website.